The search for happiness dictates this amazing journey where (professional) Water Polo is king. 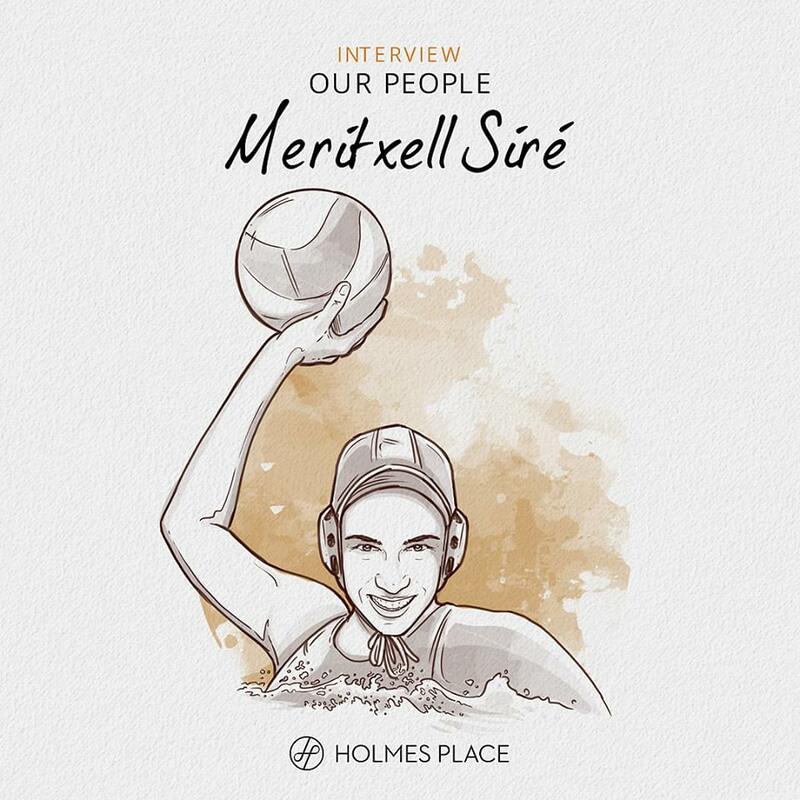 Meritxell Siré, Holmes Place Group Training Support, is proof that life may stir us away from our passions… but, sooner or later, they’ll find their way back into our days. What is your passion and how did it begin? I started swimming when I was 2 years old with my father and continued until I was 15 years old. During these years, I was in some Spanish Championships, but when I was 15 years old, I realized that I was a bad swimmer and, the most important thing: I didn’t enjoy it. So, following my father steps, I started to practice water polo. What stands-out in your journey? It became my passion and everything I did, everything I thought about, was related with Water Polo. I combined my university studies with my two trainings (my club and the national team), and my job. So my day-to-day schedule was really full. My holidays were spent at the championships travelling around the world but I loved it and any free time I had was spent on Water Polo. It was my way of life and in 1998 I had the opportunity to go and play as a professional player in Italy. This was my dream! Getting paid to do my favorite thing in the world, My Passion! However after this year I decided to stop it, and look for a job, so I cut contact with each person, places that remind me of the sport etc. It was really hard, but I was convinced it was a clever decision as I wanted a full time job and I thought it was the right time to stop it and begin a “normal life”. This then meant that for almost 14 years, I had no relation with the sport, but 3 years ago my son asked me to go to try it. And…. the magic has come back. I am lucky because as a Holmes Place team member I can work out and enjoy again my Water Polo journey. I started to play again with Masters and also I am the delegate of my son’s team. About my next goals, I would like to transmit all the feelings this sport gave me and gives me every day. You cannot imagine the feelings in my heart when I see my son playing and he enjoys it as much as I did. It fulfills you! And why not…? Perhaps be a children’s Water Polo coach in my free time! Posted in Our people and tagged our people, human resources, sports, water polo.